Our simplest and lowest cost step to protecting your equipment and enhancing your pleasure is the Guardian. The Guardian is an economical way to upgrade an ordinary power strip to a sophisticated, protecting and performance enhancing unit. The Guardian provides massive surge protection coupled with highly tuned defence elements to purge the interferences that suffocate your audio visual systems signal processing circuits. Installing Guardian will help your system free itself from the electromagnetic clutter that previously stifled its optimum performance. 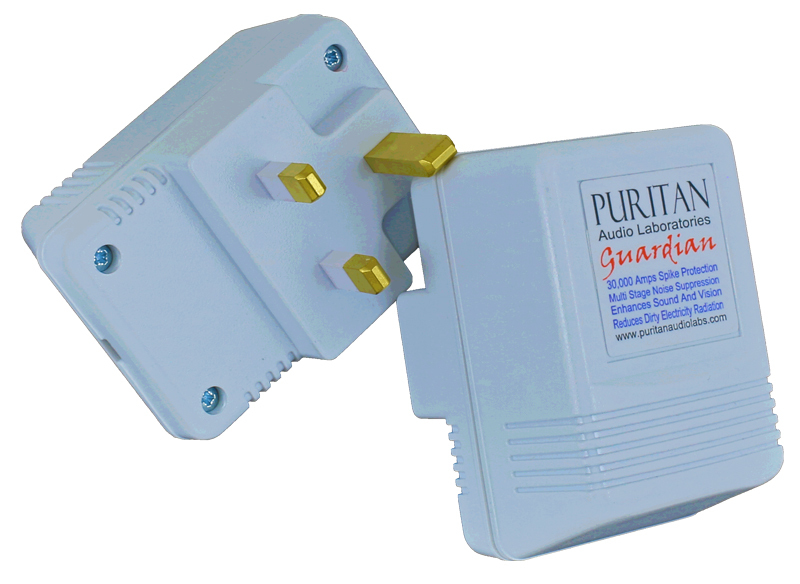 Enormous benefits can be gained by installing individual Guardian units on each mains circuit or room of the house. This quietens down the overall electromagnetic environment within the home providing cumulatively beneficial effects for not only your audio and visual systems but your general health and wellbeing too! Research from many respected authorities indicates that the “Dirty Electricity” that is carried in our normal household supply can be debilitating and very harmful to our health. Installing Guardian protective filters around the home greatly reduces the interferences that generate “Dirty Electricity” radiation in our home and family environment.